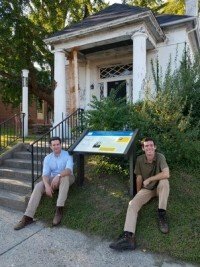 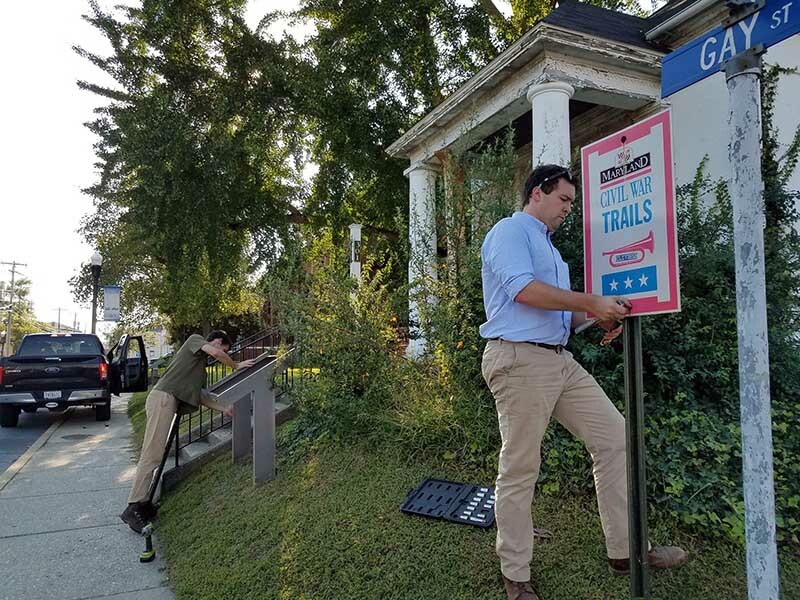 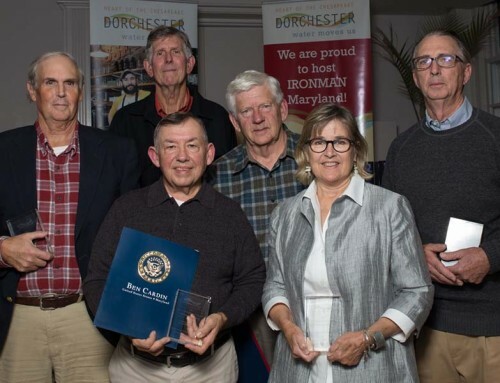 Two Civil War Trails signs in Dorchester County received major updates on Oct. 1, with the marker at the Wallace Building in downtown Cambridge featuring a significant revision that includes newly discovered historical content. 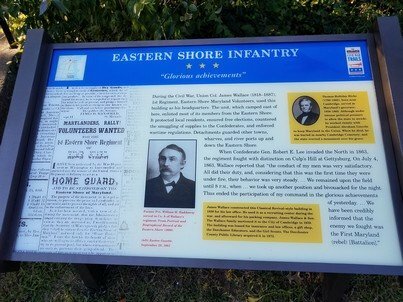 “The sign previously focused on a Union regiment raised in Cambridge and their actions at the Battle of Gettysburg,” said Drew Gruber, Civil War Trails executive director, who was in Cambridge for the installation of the two interpretive markers. 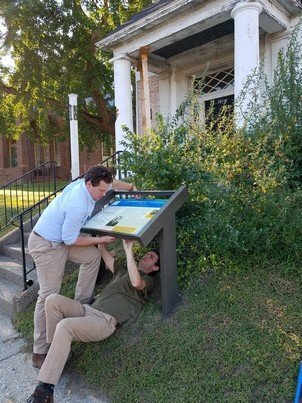 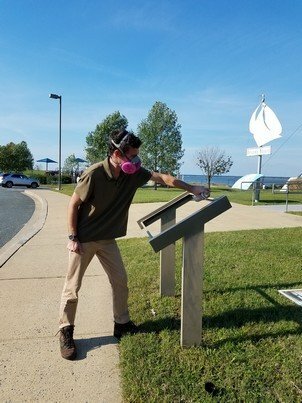 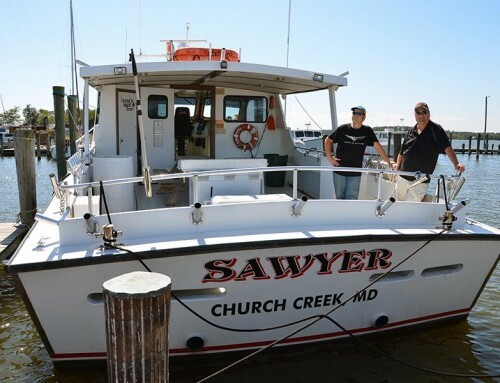 The other sign that received makeover is located at the Dorchester County Visitor Center. 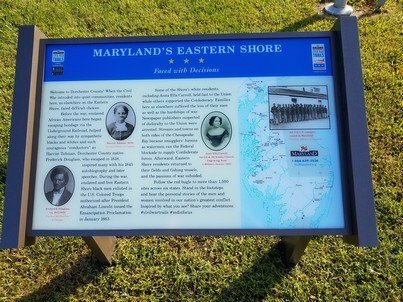 The orientation sign includes simple updates related to way-finding. 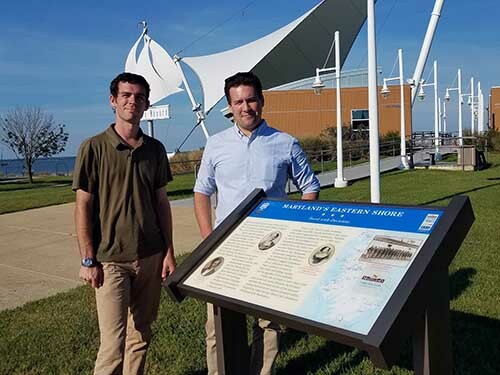 Civil War Trails connects visitors to the great campaigns and lesser-known sites of the Civil War. 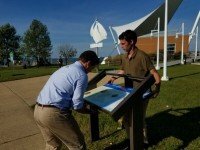 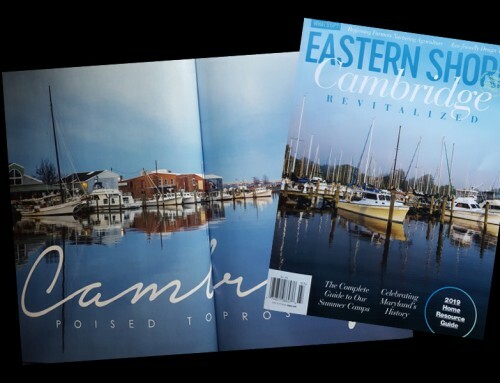 The organization and its five state tourism offices produce 15 map-guides, which are distributed both domestically and internationally. There are 1,550 sites in the entire network, which stretches over 200,000 square miles. 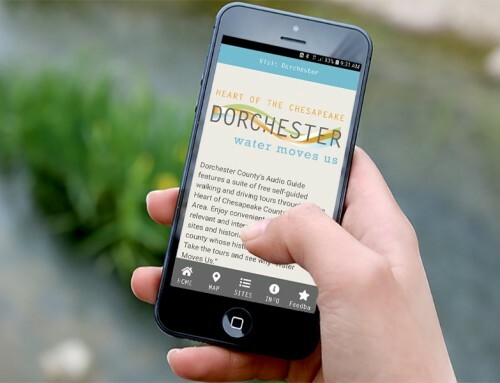 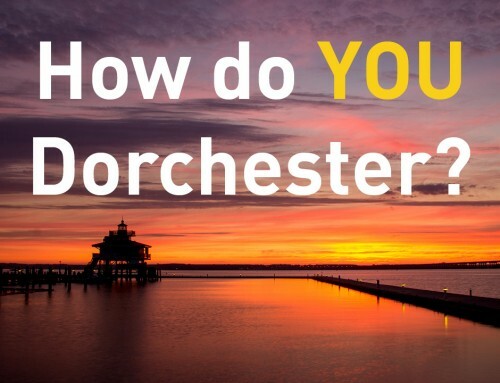 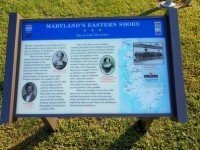 Dorchester County currently has three sites that appear on two maps as well as on the Maryland Civil War Trails app. 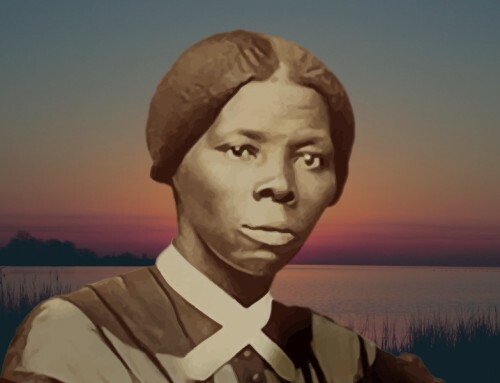 In addition to the sites at the Visitor Center and the Wallace Office Building, there is a marker at Old Trinity Church in Church Creek, the burial place of Anna Ella Carroll, sometimes called an unofficial member of President Lincoln’s Cabinet.